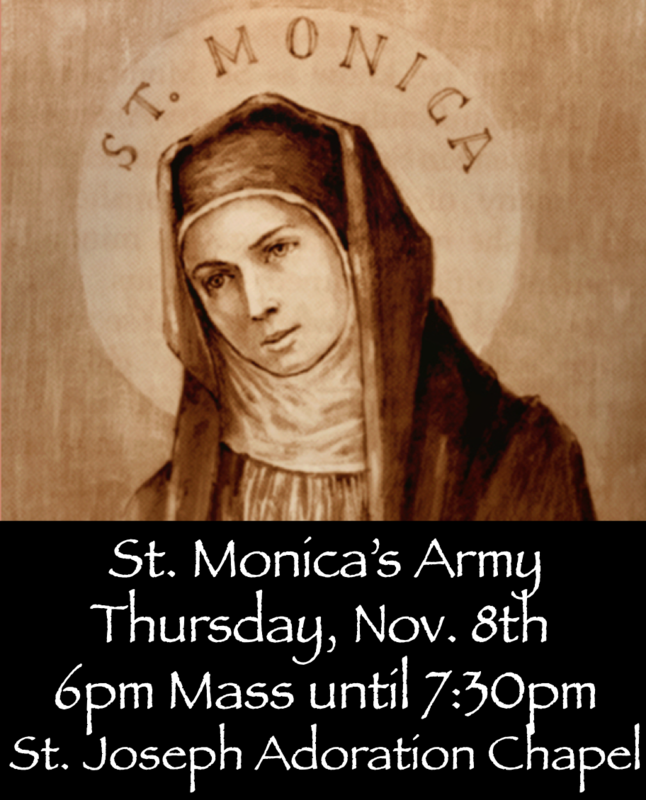 Last time we met I mentioned that since this Thursday is All-Saints Day AND the RedC benefit dinner, we opted to push St. Monica's Army back one week. This is just a reminder that we will not meet this Thursday, we will see you all next week. I think it would be great to hear all of the names of the people this army is praying for so I want all of us to bring all of our cards next week. We will still hold our vigil like normal, but at the end we'll say ALL of the names that we've collected. If you know of someone who you haven't seen at St. Monica's in a while, re-invite them to come next week to add their names to the chorus!